Unique in higher education, the 76,000-square-foot Marion Knott Studios was specifically designed from the ground up to replicate a working production studio. 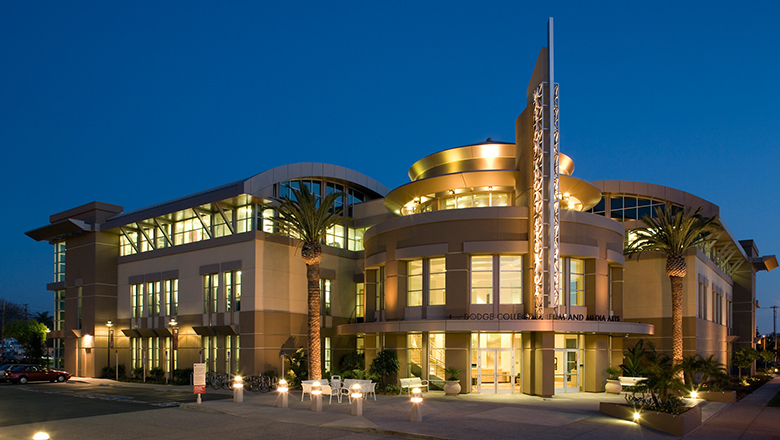 From sound stages to state-of-the-art classrooms, computer labs with industry standard tools and cutting edge technology in every classroom, this building is a living, breathing creative space open 24/7 for your use. Truly there is no better facility than Marion Knott Studios, but seeing is believing. That’s why we encourage every prospective student to schedule a tour to visit Dodge College. Download the Dodge College What's Inside document for a complete look at the facilities, equipment and technical specs of Dodge College.